Millions of dollars are spent on insurance products every year! And yet, many of us are left strangled with bills and services that are hard to understand and comprehend. Founded by Veer Gidwaney and Vinay Gidwaney, Maxwell Health came up with path-breaking solutions—by being an operating system for employee benefits, so to speak! The consumer experience in insurance and employee benefits is below standards, and that’s unacceptable. 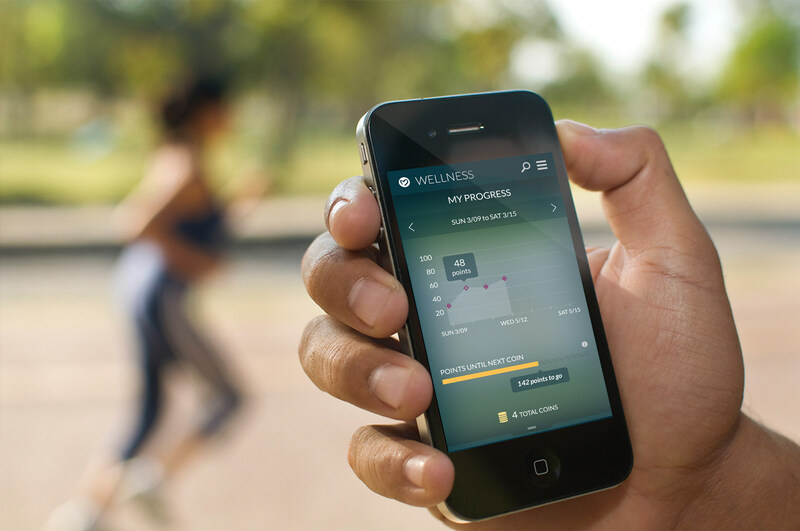 Maxwell Health is here to completely reinvent it. Their solution is gorgeous! They believe that the user interface and user experience needs to be seamless, and they’ve hired a talented design team to make their platform both beautiful and user friendly. A year ago, Maxwell Health numbered just 14 people in a small office in Cambridge, MA. Today, they’re a dynamic team of 68 employees headquartered in downtown Boston, with remote offices in New York, Baltimore, Minneapolis, Denver, and Los Angeles, and hiring fast across all teams, all over the country. In 2014 alone, they grew their employer customer base by over 1000%, and the number of employees on their platform by over 3000%. It has been a crazy, wonderful year! 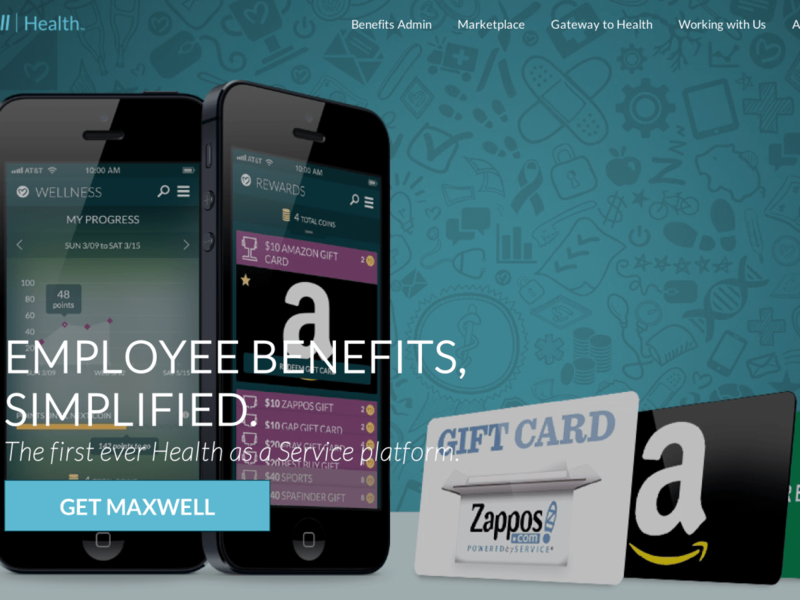 What is Maxwell Health About? They are an operating system for employee benefits that involves a solution. They’re a marketplace that helps you choose the benefits you need and fall in love with the benefits you’ve chosen. Their paperless enrollment portal bundles together medical, dental, vision, life insurance, short- and long term disability insurance (and any other voluntary/ancillary benefits) with recommended 401k products, HSA/FSA/HRA products, and an arsenal of innovative subscription-based services based on lifestyle needs. They are carrier-and-product-agnostic, so they can handle any product benefits strategy. This helps them to make sure that employees have the best options and support in choosing their benefits. It is an engaging post-enrollment experience via an awesome mobile app so that you can use your benefits whenever and wherever you need them. The app acts as a virtual insurance ID card, so that you never have to carry a card to the doctor’s office or pharmacy again. There’s also a built-in wellness program that streams in data from Fitbit or Jawbone fitness devices so that employees can track their fitness and sleep quality, and employers can reward healthy behaviors. The app also integrates with all the best-in-class services and products an employee selects during enrollment. For instance, they can take a picture of a confusing medical bill with the Maxwell app, and through Health Advocate, we can help sort things out or even negotiate lower prices, or an employee can get on a video call with a doctor instantly through Doctor On Demand. To sum it up, Maxewell Health is a comprehensive benefits administration system to help companies as small as 2 and as large as 5000 manage their employees and their benefits seamlessly, regardless of their contribution strategy (including group medical or individual). They’ve built out integrations with some of the best HCM and payroll systems in the country, so companies can keep the solutions they love in place, and have streamlined access to all of their benefits and employee information. There is an urge to empower consumers to make smarter, healthier decisions and take charge of their health, wealth, and wellness. They want to make sure that every American not only understands, but loves the benefits offered by their employers. To bring about a change, they need to connect to the hearts and minds of the American consumers. Their biggest challenge, ongoing, is simply getting out of their own way! As they scale (both growing the team and our customer base) in such a complicated and in many cases, antiquated, industry, they’ve kept their long-term vision in mind. They’ve chosen not to do things or pursue certain opportunities because they didn’t jive with the core principles of the company. Executing—by keeping that vision intact and growing an incredible team is a huge challenge, one that they’ve charged head-first into every single day. They see a few other players in the space, but most of them are incumbent benefits administration systems; that haven’t considered a consumer experience and focus purely on cutting down on paperwork for HR. The others are, for the most part, not built on modern technology stacks, so they’re not as flexible and can’t handle the diversity in benefits strategies or company sizes that Maxewell Health can. They are the only company that has integrated an innovative benefits administration system with a product and carrier agnostic private exchange and a focus on the post-enrolment consumer experience within a beautiful mobile app. Just in the last year they’ve grown the number of employers on the platform by over 1000%, and the number of employees on the platform by over 3000%. Despite that fast growth, there’s almost limitless potential. The market opportunity here is enormous, and for a fundamental macroeconomic reason: health and benefits are becoming more consumer-centric, the expectations consumers have for that experience is high. The technology that currently facilitates that experience does not meet their expectations. The potential customer landscape is tens of millions of people. They believe that every working American should be using something like Maxwell. They work with all sorts of companies across the country, and the best part is, because they team up with benefits experts rather than brokering the insurance ourselves, you always have the benefits expertise and service at your fingertips—on an incredible technology platform that’s flexible, scalable, and incredibly easy to use. They license their platform to benefits brokers, professional employer organizations (PEOs), third party administrators (TPAs), and insurance carriers across the country, and most provide it to their employer clients for free. Their partners view their technology as a key differentiator and resource to improve their value proposition in an ever-changing and increasingly competitive market. Health services should always be at the top of our priority list, but do we really prioritize it? The present state of affairs has pretty much brought things to a head; with employees and employers unsatisfied on health services by-and-large. It’s time we realize it and take necessary actions!